High-quality Swingline cartridge allows you to staple up to 5,000 times without reloading for time and money savings. Versatile use. Staples designed for 2 - 30 sheets with Swingline Cartridge Electric Stapler, 69001 and 69008, or 2 - 25 sheets with Desktop Cartridge Electric Stapler, 50201 and 50204. Sharp chisel point brings better penetration and reduces jamming. 1/4" leg length. 5,000 staples per cartridge. I have a Model 69270, yet I see two cartridges. Will either work? For best performance, use the Swingline® Premium Staple Cartridge (S7069495) with the High Capacity Electric Stapler. 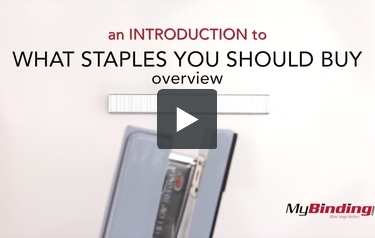 It will staple between 2-70 sheets. Which stapler uses this cartridge? I have a swingline model 520e which staple cartridge should I get? The model takes 1/4" cartridge staples. The item number is S7050050B. My Swingline box with cartridge staples says "C cartridge". Which one is that? I need to order more. If you have the Swingline 70 Sheet Cartridge stapler you would need item S7069495. I have a Swingline 5000 electric stapler, which cartridge fits this model? The Swingline® Standard Staple Cartridge (S7050050) can be used.